The excitement of hiring new talent for your business can easily be overcome by dread as the relocation process begins. The details involved in relocating an employee can make it a challenge to be able to focus on business as usual. 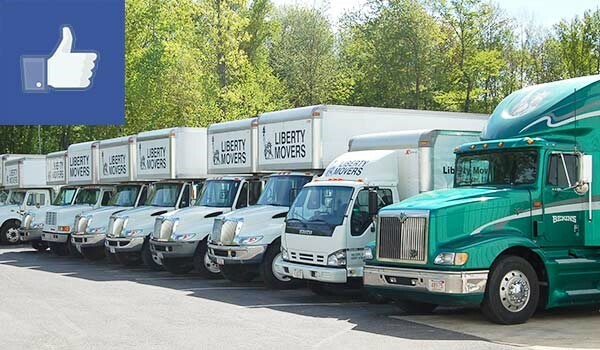 Instead of worrying about the logistics of moving, turn to the professional Worcester corporate relocation experts at Liberty Movers. We’ve been providing trusted moving services since 1920, and today we’re proud of our reputation as an exemplary corporate moving company, as demonstrated by our BBB accreditation and the many industry accolades we’ve received. Like hundreds of our satisfied customers already have, you can trust us to save you time and money on your next employee relocation. Packing: As part of our comprehensive moving solutions, we carefully pack every item that you own, treating it with the same respect and care as if it were our own. Moving: We use our state-of-the-art equipment and supplies to load and unload all of your belongings, transporting them in our well-maintained vehicles from the old household to the new. Automobile Transport: We can even look after the transport of your employee’s vehicle(s) to make every aspect of the move as easy as possible. Cleaning: We can arrange to provide cleaning services in the originating dwelling once it’s empty, as well as in the new space before unpacking. Utilities: We even offer services to disconnect and reconnect your employee’s utilities, such as electric, phone, and cable. We understand that you want your new employee focused on working hard for you as soon as possible, so our Worcester commercial movers take all of the distracting details out of the relocation process. Call the experts at Liberty Movers to find out more, or fill out our online form to request your free quote today.